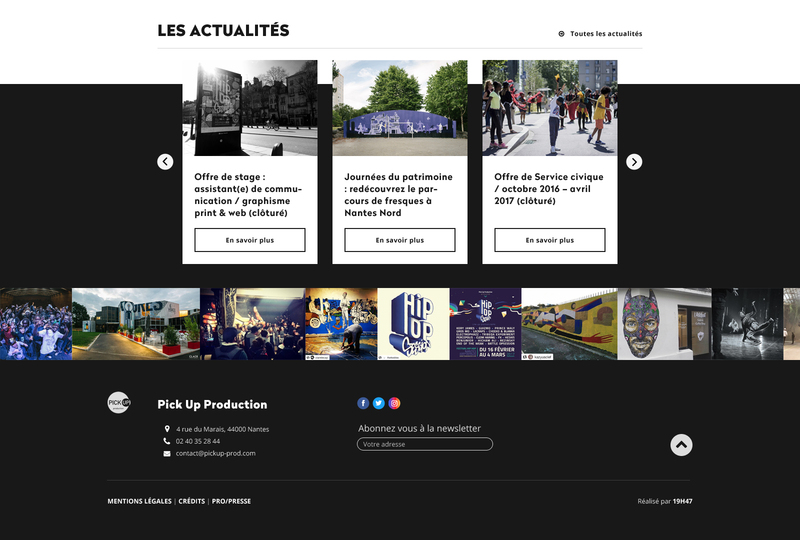 Pick Up Production is a Nantes cultural association created in 1999. After many years with a simple WordPress theme, the association wanted a real custom-made website. kept the readability of content. The association works hard to improve the accessibility of the events it organises. The same idea had to be applied to the site. When the menu is open an overlay comes over the contents, blocking the scroll. Navigation can be done using the keyboard. The escape key permits to close the menu to kept in mind accessibility. The typeface used are Radikal for heading and Open Sans for the body. The website is running under WordPress and Timber.